This book, published in 1999 but is still very useful and popular in society now a days in learning to understand that in life there will always be changes and learning how to adapt to it with the right attitude. It is a very inspiring book for people who struggle or are currently going through new changes in life. It is a light read and short book. It starts off the story with describing four different characters, two of who are mice and two who are known as the Littlepeople. All four of these characters in truth stand for four types of people in the world. Two of which are willing to accept and adapt to change in life who make it far in life as they are able to adjust to new situations easily. Whether it is to end a bad relationship and understanding that it is not right for you, then learning to move on and eventually finding someone better or learning to adapt to a new environment that you have recently moved to or even a new job. 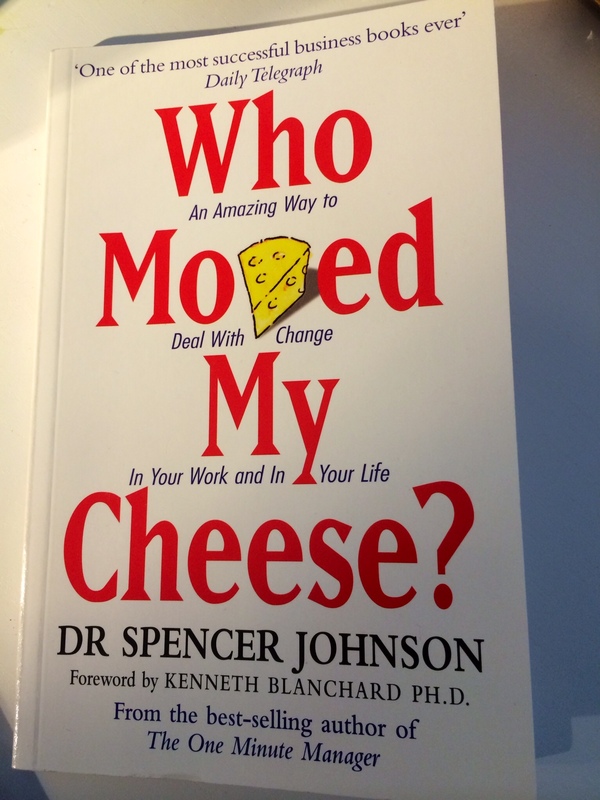 The word Cheese is used throughout the book as an anonymous item for the reader to relate to in their life. One of the other characters shows struggle in change but eventually learn to change to survive nevertheless through a lot of reluctance. It is known to be one of the most successful business books. This book can be purchased almost anywhere even eBay! Previous Post Is it breakfast time? Nice! i would read this.